The last time we went out of the country, our bag was filled with my little darling's stuff. 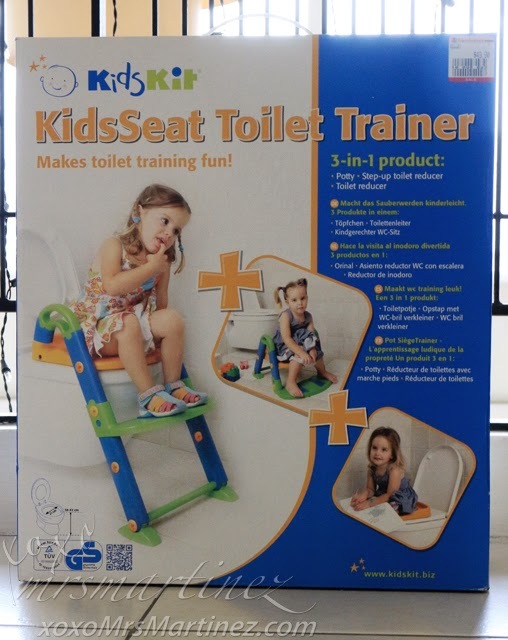 Aside from Disney Princess' clothes, we bought a KidsKit KidsSeat Toilet Trainer. 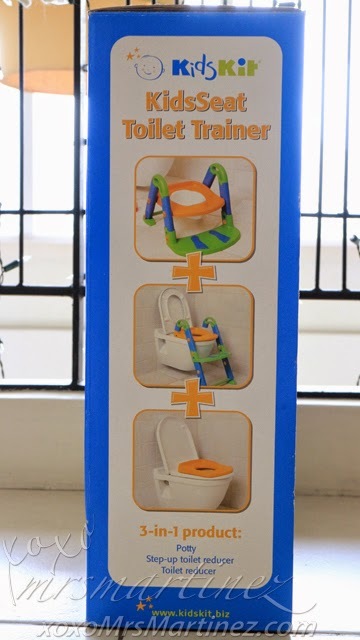 It's a 3-in-1 product that converts into a potty, a step-up toilet reducer and a toilet reducer. I was too tired from our trip so when I unpacked our luggage, I told the nanny to assemble it instead so my daughter can use it right away. 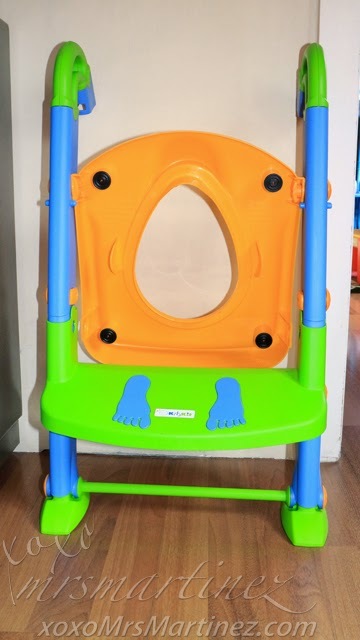 It was easy to assemble because the instruction was illustrated. A tool to screw and unscrew the parts was also provided. 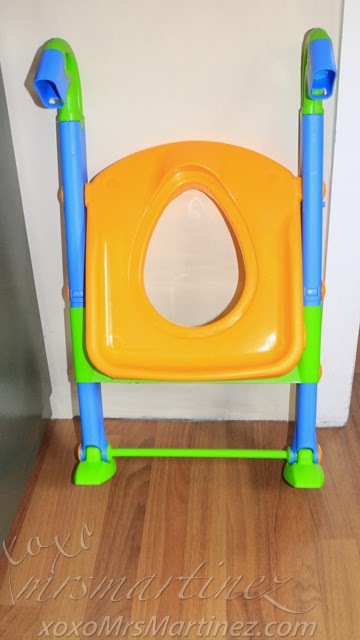 We are currently using it as a Step-up Toilet Reducer. 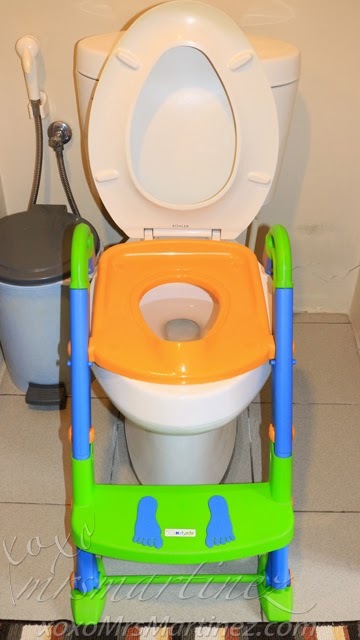 My daughter tells us when she wants to pee but it was always too late to put her on the seat. It takes a lot of patience and practice to get the job done. She seemed to like the idea of sitting on the potty chair though. Let's see how it goes in the next few months. 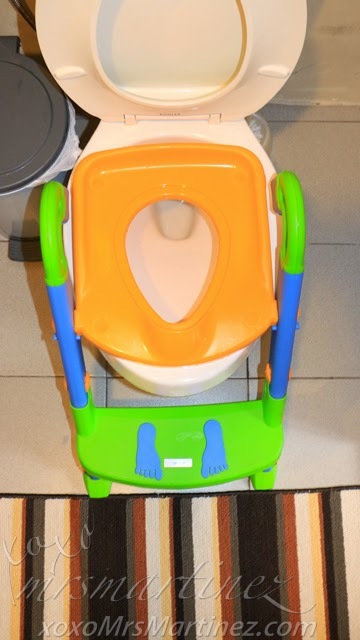 I am keeping my fingers crossed that this potty training will be a success. Hopefully, we won't be needing any diapers around by the end of the year. Sadly, KidsKit is not available in the Philippines.